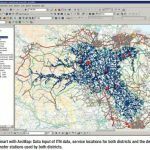 With vehicle routing software from Integrated Skills, you get access to a powerful data manipulation tool based on a GIS (Geographical Information System). Our software programmes integrate with your business to give you a customised service. Below are some examples of the current types of data that you can utilise to change the way you manage your vehicle based services, and we add new functionality all the time. You get the most up-to-date street data available for your work areas, either from the Ordnance Survey or HERE. 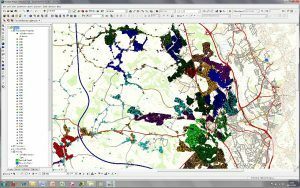 As well as base mapping, you can overlay various data sets in the GIS to get a complete overview of your operation, and further refine your routes. When this is coupled with real-time updates on traffic and roadworks, you have a powerful solution that helps you create optimal routes as well as create tactical scenarios that illustrate how productivity improvements can be achieved. You can alter the parameters in the software to account for changes in customer demand, adjust for holiday periods and track the progress of your service on a daily, weekly or monthly basis. Data about your services can also be used to give automated, in-cab instructions to your drivers at appropriate moments along their route. This increases reliability and accuracy of service as well as making training easier. If, for any reason, they are unable to carry out a job at the right time, they can log the reason in the system, so you have accurate records at a later date. This allows you to report to any clients that you are contracted to provide your service to. 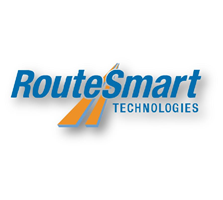 Efficient analysis is perhaps one of the primary benefits that route planning software can offer you. Faster routes can be worked out using consistent data like normal traffic patterns or it can be based on real time changes like accidents, roadworks or unusual congestion. On the other hand, you might want to prioritise fuel efficiency and lower mileage above speed. For this, you can choose the shorter route options. You also have the ability to avoid certain conditions such as motorways, tolls or other options that might affect your fleet specifically, such as emissions zones.